PUCHONG: Some 55,000 teachers and Chinese schools across the country are set to benefit from redONE Network Sdn Bhd’s (redONE) two new programmes. 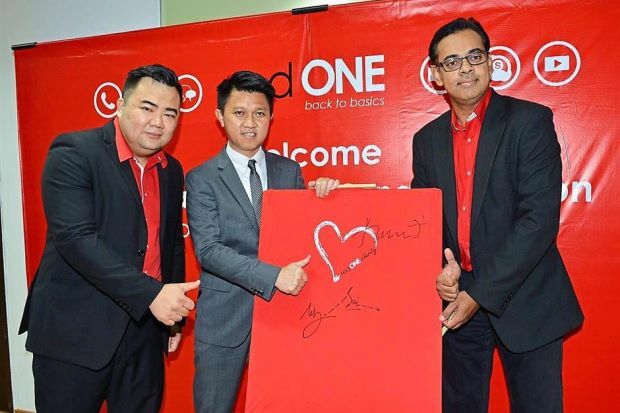 Through the Teachers Reward Data8 (TRData8) and Chinese School Charity (CSC) programmes, the company planned to recognise the important role that teachers and education play in the country, said redONE chief sales officer Ben Teh. Teh said the company, a postpaid mobile service provider, intended to reward about 55,000 teachers through the TRData8 programme. “Malaysian teachers can sign up for the programme and receive a waiver of RM8 fee and free 500mb data monthly for 12 months,” he said during the launch. He added that the company was expected to spend about RM100mil on the programme. He said the programme was meant to honour the contributions of teachers. Teh said the through the CSC programme, redONE wanted to help Chinese schools across the country so that the learning experience of Chinese school students could be enhanced. He said the company would hold fundraising dinners and the money would go to schools nationwide. He said the dinners, which will be held on Aug 13 in Sarawak, Aug 20 in Selangor, and Sept 18 in Sabah, would eventually be held in every state in the country. Deputy Education Minister Chong Sin Woon, who was present at the launch, praised the programmes. He said they were in line with the Malaysia Education Blueprint. “We encourage corporate support for education,” he said.